From Acura to Volvo, more and more car companies are getting into the game of self-driving tech, and it's now easier -- and more affordable -- than ever to buy a car that basically drives itself. (Seriously, manual transmissions are so last millennium.) The US government classifies semi-autonomous technology on a scale of zero to four, ranging from complete driver control to absolute faith in Skynet. Today, the most advanced systems on sale are classified as level two, which bundle driver-assistance features and safety equipment but don't quite make the driver redundant -- yet. 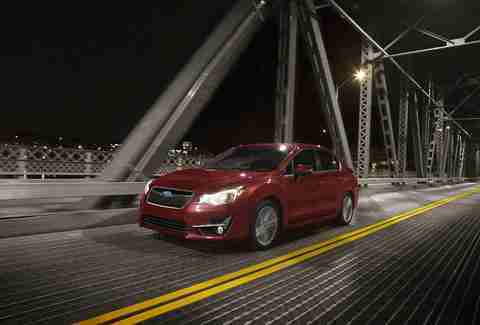 Subaru became one of the first automakers to lead the charge in offering driver-assistance technology at a reasonable price when it launched EyeSight on the Impreza about two years ago. Utilizing color stereo cameras mounted inside the car on the windshield, EyeSight combines active braking, active cruise control, and lane-keep assist to make low-speed driving almost automatic. Real-world accelerating and braking in traffic feels natural, but the system could use some refinement at highway speeds. 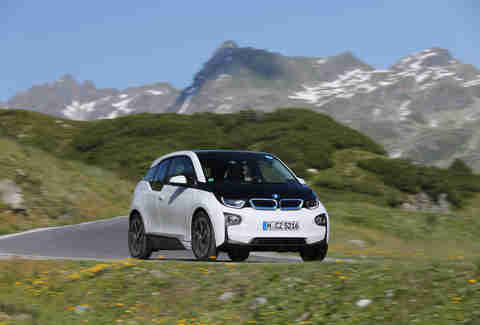 The BMW i3 is an electric vehicle with respectable environmental credentials (much of its carbon fiber bits are produced using hydroelectric power, and almost the entire car is recyclable) and a unique approach to "one-pedal" driving. Step on the accelerator to go forward, and lift off it to begin slowing down. In practice, it's most effective in dry, ideal weather conditions, and unlike the other vehicles here, the i3's systems work best in a straight line; no steering assist is offered. 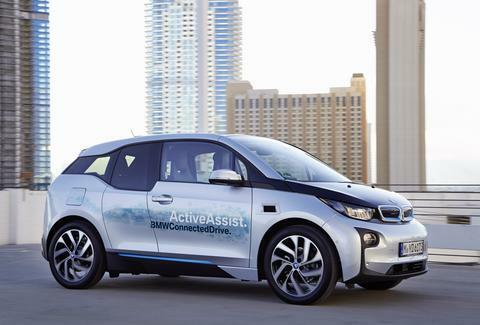 It's the most advanced system we've seen on an EV, however, and put to the test, it works. 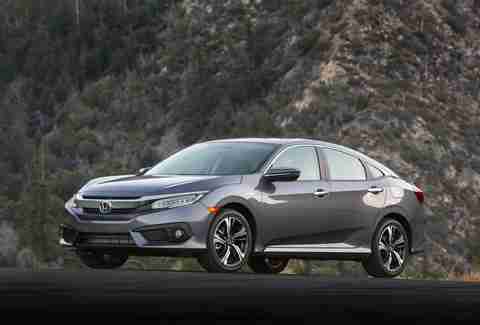 Honda was a late entry into the semi-autonomous driving game, but arrived in a big way when it introduced the 2016 Civic Sedan and Coupe earlier this year. For just a grand, you can buy into the eponymous "Honda Sensing," which is an entire suite of safety technology and driver-assistance features. It’s a little less advanced than a traffic jam assist system, but the Civic can guide its way around a corner and ease the strain of ceaseless city traffic just fine. The Infiniti Q50 has a PhD in stop-and-go technology, thanks to Distance Control Assist and a swath of active-braking and lane-keep functionality. Press one button and switch your luxury sedan into one that can find its way through traffic without any human intervention. It’s as novel to use as it is easy to disable, just in case you want to remember what it's like to actually drive. 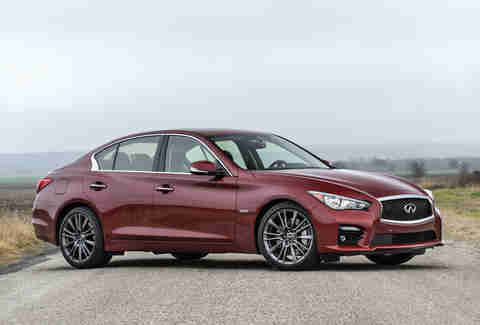 However, the cost of adding this tech to a Q50 is $8,700 -- requiring the addition of four different options packages, including all-electronic steering-by-wire, to make it all work. Simply put, Mercedes-Benz's Driver Assistance Package* is the most polished execution of semi-autonomous driving from any of the established brands. Radars and cameras help the S-class see up to two cars ahead, and recognize the potential for making situations safer and less stressful. 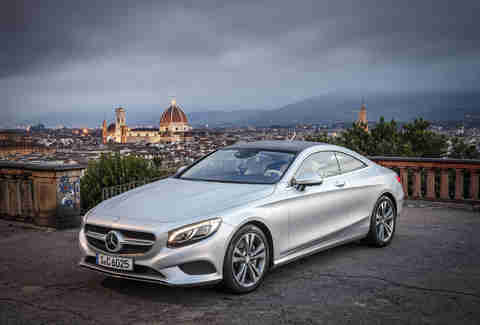 That the Benz paves effortlessly through heavy traffic and follows other cars when there are no lane markings on the road is a marvel -- though you still have to be ready to take over after a lawyer-required set amount of time, or in case your car gets too friendly with the one ahead. *Iterations of the optional package are available on less-expensive Mercedes-Benz models, although their calibration isn't as refined. 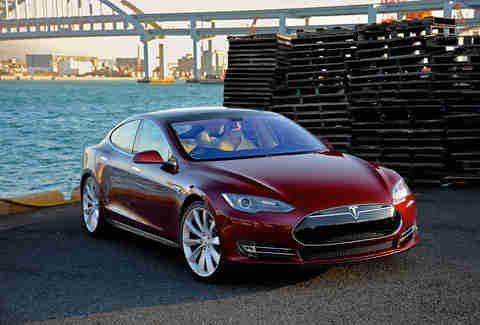 According to Tesla, as many as a dozen sensors can detect the potential for danger up to 16ft around the Model S at all times, and forward-facing radar and camera assist the Model S to perform smoothly. A double tap of the cruise-control stalk enables Autopilot, which controls everything from steering and braking to lane changes -- and avoids the lawyers in the process. Continued over-the-air updates to the software secure Tesla's dominance in the self-driving sphere, but the Model S does have its Kryptonite: snowy and icy weather limits the sensors' ability to detect much of anything. Jeff Jablansky is an automotive journalist who somehow avoided making a single Yakov Smirnoff joke in this piece. Have your car follow him: @unclewithcars.